Are you new to getting fit and your nutrition is a disaster? Okay, it’s Fit 15 beginner for you! Learn the basics of good nutrition and exercise before continuing your journey. You are already exercising and eating well? Then start with Fit 15 – intermediate. This will help you continue to eat well and build up fitness to ensure you maintain a healthy lifestyle. You are already very active but feel you need something more? Perhaps you have achieved a lot in terms of fitness but want help going to the next level? 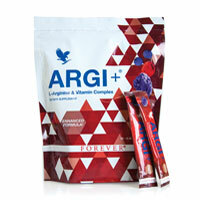 Argi+ helps amateur and professional athletes to perform better, recover faster and maintain higher levels of fitness. This unique product is based on the ground breaking amino acid discovered by Dr Murad and his fellow Nobel Prize winning Doctors. By helping the body to create nitric-oxide in the blood our cardiovascular system is better able to deliver oxygen and nutrients to muscles and organs whilst more efficiently removing any waste products (such as lactic acid). This 30-DAY Forever Fit regime allows you to continue towards your weight management goals in a sustainable, healthy way. Click to buy FIT 1 from the UK. 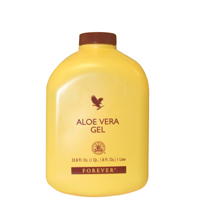 Pure stabilised aloe vera gel which is as close to the natural plant juice as possible, containing over 200 different compounds. This rich source of nutrients provides the perfect supplement to a balanced diet. Drink to promote a healthy lifestyle and well-being. 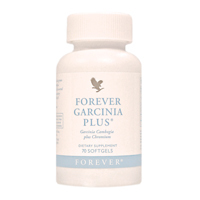 Also known as malabar tamarind or brindle berry, Garcinia Cambogia is a tree native to Southeast Asia. The fruit has been prized for centuries for culinary and beneficial purposes in Southern India and Thailand and is used today as a weight management supplement. Hi Adebanjo – I’ll send you a separate email on how to order in Nigeria. Hi Adebanjo – I’ll drop you a line to see if I can help. Okay, the first thing to do is help you purchase your Clean 9 box – I’ll drop you a line separately, as it varies from country to country or you can follow a link from here https://www.fitnw.com/buy-clean9-fit/. The nutrition is separated in special packs – so you can see what you take with each meal and also take to work if necessary. In regards to the meal plans, there are suggestions in the booklet too – but you can swap them around for meals that you are familiar with or prefer so long as you remain at (more of less) the right calorie level. Lastly, when you purchase your Clean 9 – you also get the support and advice of the person that you bought it from – so choose someone who knows what they are talking about and can help. i need fit 1 in ibadan nigeria.pls what is the price and how can i get it? Hi Anu – I’ll drop you a separate email about the 15% discount. Hi Flora – yes, we can arrange for you to receive the Fit 1. I’ll drop you a separate email. Hi Cleo – thanks – I’ll drop you an email about how to order in Nigeria with the 15% discount. I’m in Ghana n I want to register with discount of 15%. Please help. Hi Evan – thanks – I’ll drop you a separate email about the Fit 1 and Clean 9 discount. Thanks Angela – I’ll email you about the discount. I am in kenya and would like to know how much the clean 9 cost and how can i get it from kenya. Hi Mophine – I’ll get in contact on Facebook and we can sort things out from there. Hello. Im based in cameroon n Will like to Know if u got sales points here.i Will like to place my order. Thanks. Pls i need Fit1 can it help me to loose 20k and how much does it cost. Hi Adaugo – that depends on where you live – please https://www.fitnw.com/contact/ and I’ll get you some prices with the 15% discount. Hi Agbontaen – if you contact me I can put you in touch with someone who can help. Hi I’m in New Zealand. I need C9 and a price on it? We’re can i order it? Hello Annointed – yes, I draw up plans for my customers – typically starting with Clean 9 and then moving onto Fit 1 – if you are interested, please contact me https://www.fitnw.com/contact/ – so we can arrange the purchase of your products and I can help you set up your plan. Hello, I’m Kevin from Tanzania, and i would love a thorough information on the whole fit programme. from the C9, FIT 1 to the FIT 2. I would love to know a bit more about it because i have a couple of people around me who want to loose some pounds. Hi Kevin – have a look around the site – I hope we’ve answered all those questions. Hello, I’m Manana from South Africa in Johannesburg, and i would love a thorough information on the whole fit programme. from the C9, FIT 1 to the FIT 2. I would love to know a bit more about it because i would like to loose some pounds. Where are you based Onyinyechi? Hi Katarzyna – okay, that is a big weight loss – although dependent on your height and natural weight. Firstly, you need some advice – you might start on Clean 9 but an adapted programme – dependent on your overall weight. And then move onto an adapted Fit 15 programme. If you would like me to supply the products for you then I would be happy to help you develop a programme that works best for you.